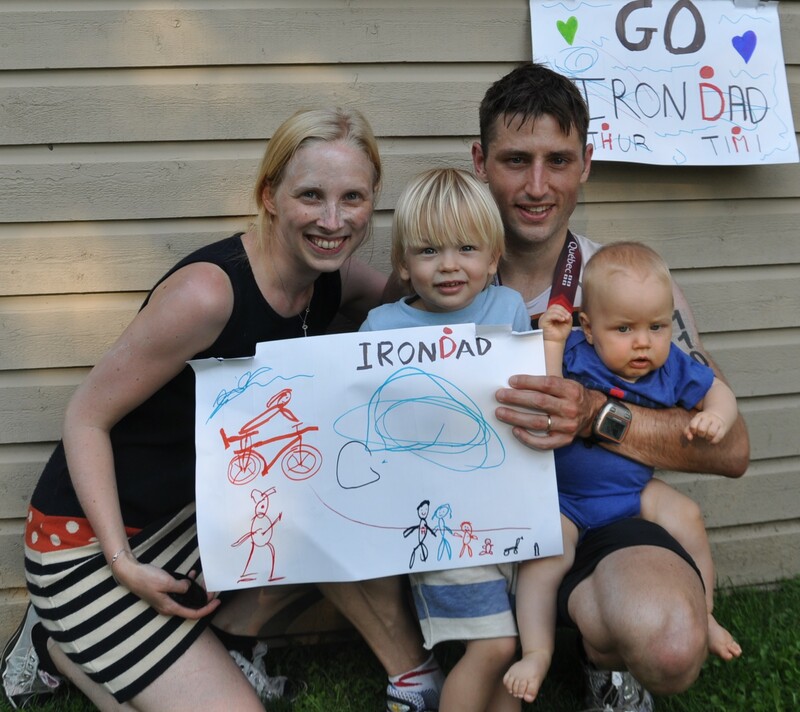 Ironman #2 in 2013, this time in Canada after the extreme Texan heat of May. 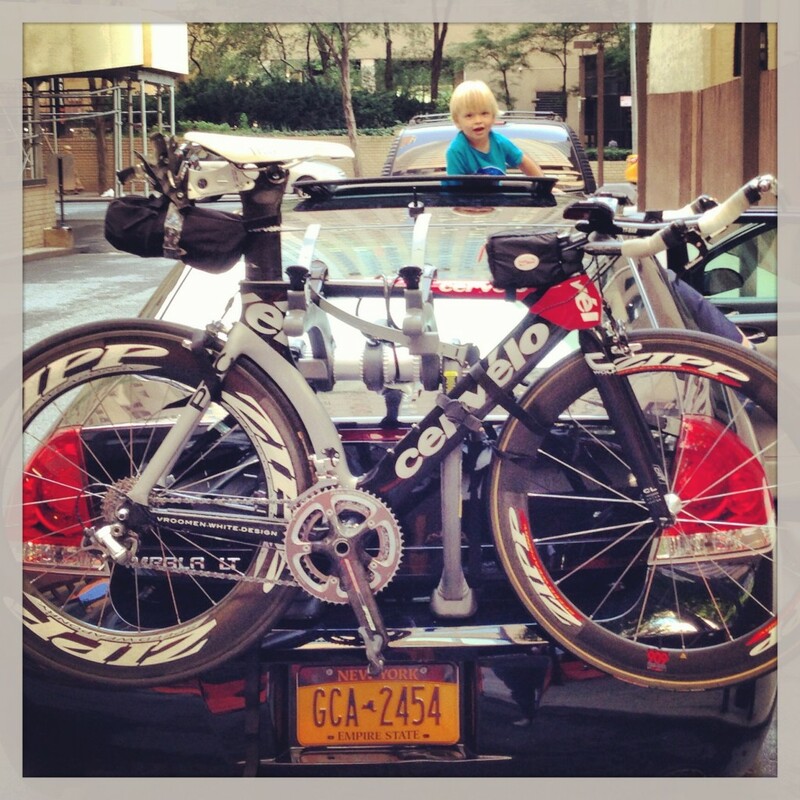 Leaving NYC with the car fully loaded with bike / kids / gear / food (in decreasing order of importance?) we spend the night at Lake George, before an early dinner in Montreal (tarte au boudin @ Pied du cochon) and the final stretch to the quaint resort of Mt Tremblant. 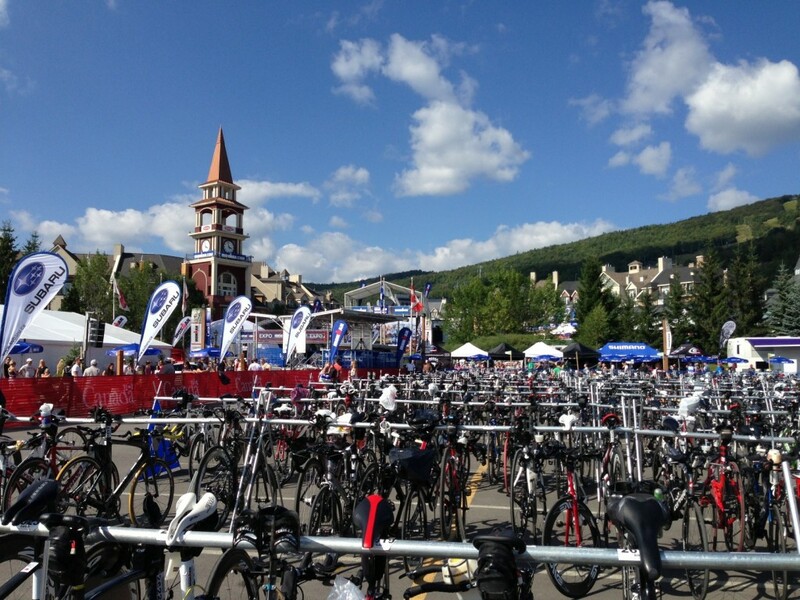 Mt Tremblant Ironman had its first edition last year and was a success, due to its village close to everything, and a very friendly atmosphere. 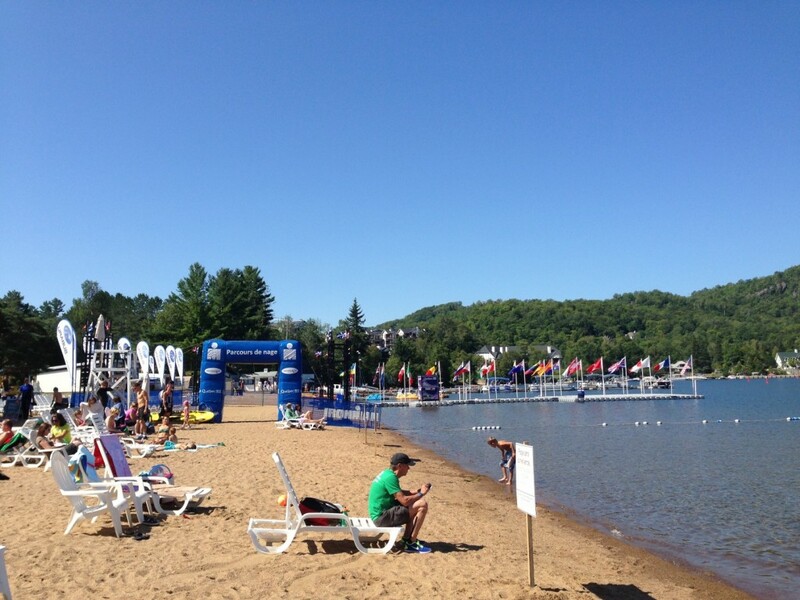 Everything is convenient, lake is gorgeous, lots of condos and hotels, and volunteers are great, which combined with the strong support of the region is usually a good recipe for an IM (compared to Texas for example). After a few days of activities and chilling out (no training at all race week as I was quite exhausted from the last 6 months), time has come for gear check-in. 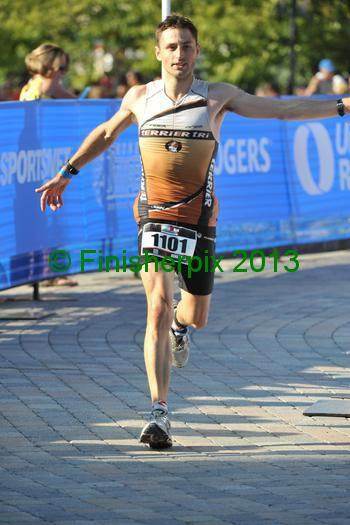 Feels like a routine, since this will be my 10th ironman !!! 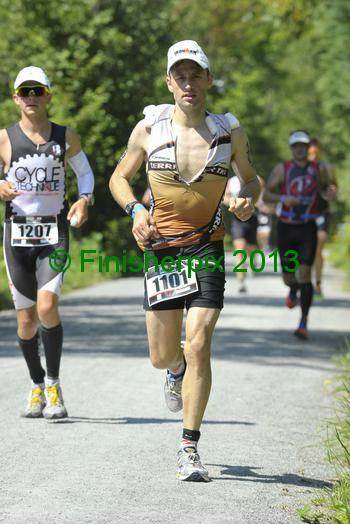 Race morning: a quick walk to transition, it is cold and everybody hesitates: tri top on the bike ? Actually as soon as the sun would come out, temperature would be great. A (long) walk to transition and I only have 5 minutes to swim before the pros start. For Age groupers, start is staggered across categories, which is supposed to smooth the start but which I don’t like since I will drafting stronger swimmers is more difficult and less groups can form. Anyhow, water is cristal clear and warmer than the air, and here we go ! First stretch is ok, i reached the turnaround point in 32mn. Return is much slower as i don’t swim very straight and end up exiting in 1h07mn, my worse time in years ! I swam a lot less recently, but still it hurts my feelings ! I will need to take action. 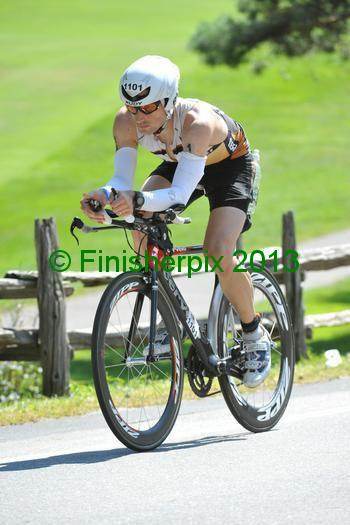 Very long run back to T1, smooth transition where i finally fecide ti put arm warmers, and off we go for 112 miles. First part is downhill, then out and back in the highway. Wind is low and despite the climb to return to the village i am happy with my rythm at mile 40. However the next 15 mikes are tough and i feel sluggish on all the climbs, slowing down a lot. A fjjish the first lap in 2h50mn. I am very unhappy with this but need to move on. Lap two is the same but winds pick up in the way back and it gets tougher to hold the aero position. I guess that’s why this is called an Ironman. 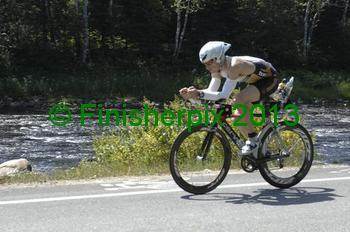 I manage to get back into some okay pace the last 10 miles, clocking 5h44mn on the bike on a not-so-easy course. 375th overall at this stage. Now the marathon. Well, we start running along the river, in the sun, pace is good, 5mn10s per km. 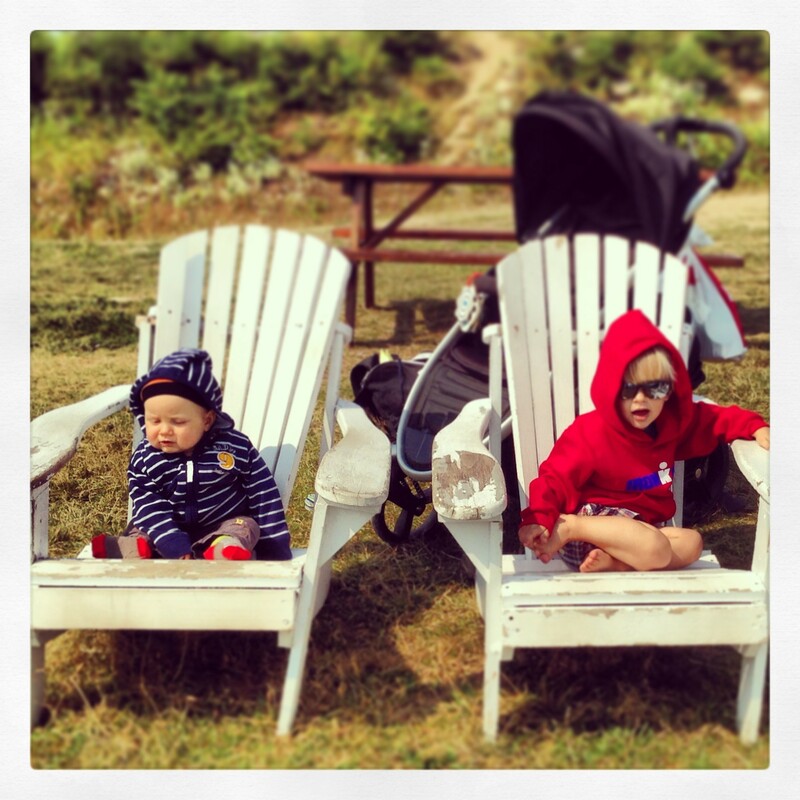 At km5 we reach the “Petit Train du Nord”, an old railroad track turned into a dirt trail. Plenty of shade and a soft ground is a nice change. At the km10 turnaround point, we head back into town and that’s where I notice we were going slightly downhill and now it’s time to go uphill ! Back in the sun for 5km, and we’re back in town with a lot of spectators. Feels good. 1h52 at the half marathon mark. Let’s finish this. I feel that second loops are always tougher as you don’t have the benefit of not knowing what lies ahead. This is it ! 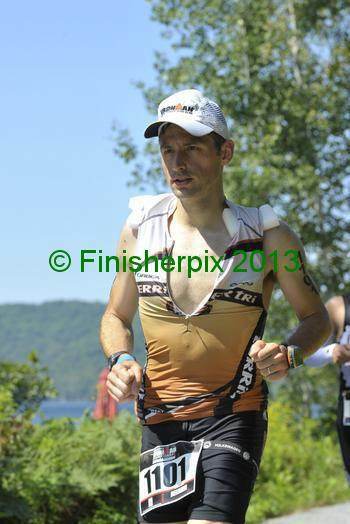 First section I keep the pace, but at km25 I need to walk at the aid station, dropping the pace. I want to fight to get under 11 hours but this last out and back is tough. 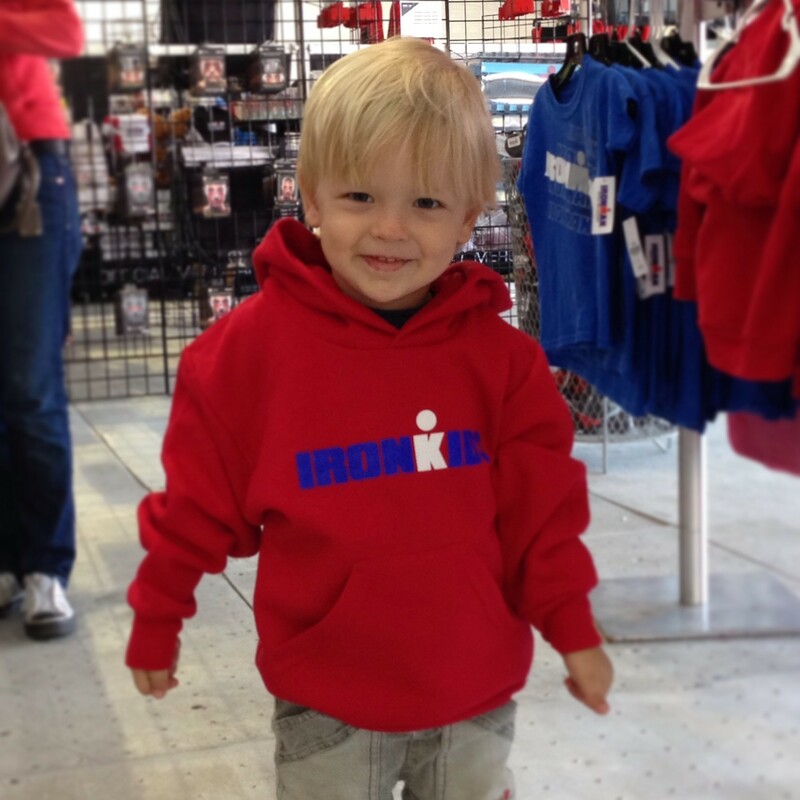 I see lots of friends on the race, keeping me focused, but I can’t wait to get back into town. 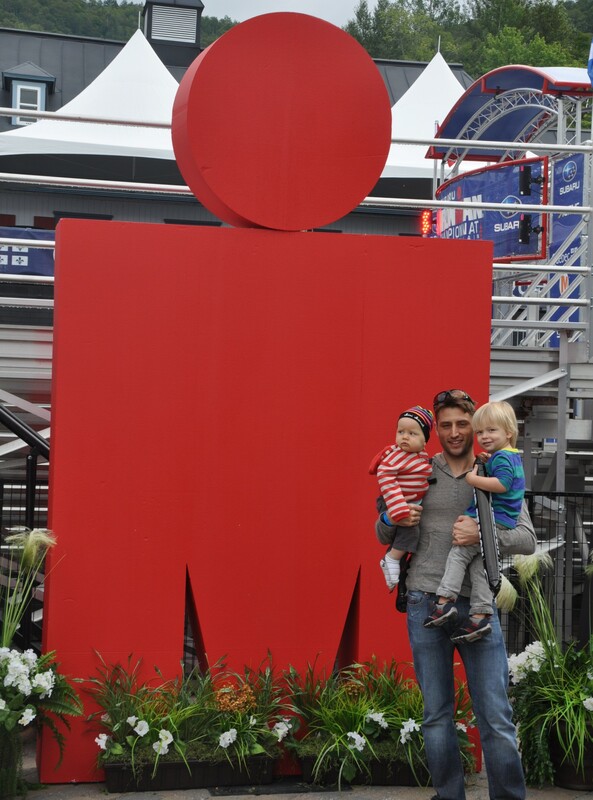 After 6 difficult kilometers, I up the pace to make it back in time, last 5 kilometers are a mix of pain and joy but getting there, and the last mile into town is great, I have time to kiss my family before crossing the finish line of Ironman #10 in 10h 54mn, 296th overall. See you in Cozumel in December !